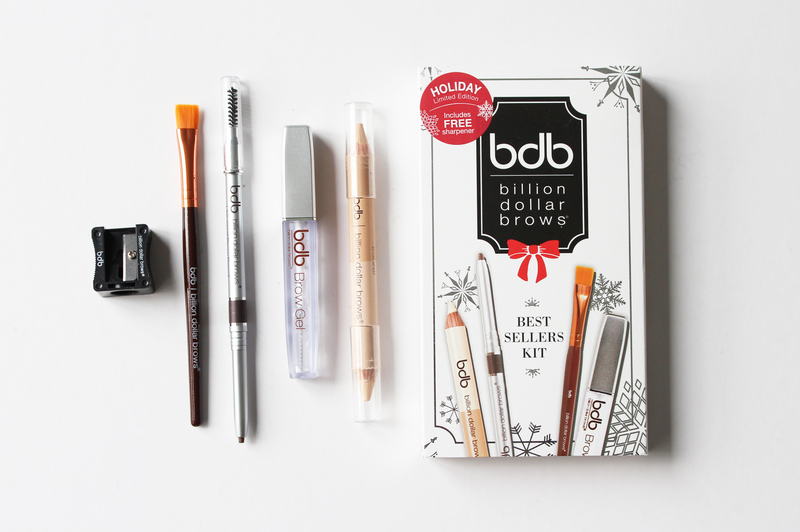 With a company name like Billion Dollar Brows, you'd hope that they knew their brow products and they've definitely impressed. The kit comes with five items; a handy jumbo sharpener, a Smudge Brush, the Universal Brow Pencil, a Brow Gel and a dual ended Concealer and Highlighter. Personally I don't use this much at all with the actual brow pencil, but it's great to blend out the concealer and highlighting products around the brows to really finish them off. I was skeptical at first with this pencil, because I don't understand how it can possibly be fitting for a blonde when it looks so dark in the pencil. But for me the colour turns out perfectly, so perhaps it's a bit of a magic product! The formula of the pencil end is quite waxy, but it gives a good amount of colour pay off without having to push to hard. The nib isn't as small as I'd like it, so you can't get a super precise and defined brow, but for everyday it's quick and easy and lasts without smudging or smearing. The spoolie on the end is awesome too, great for blending the colour through. Brow gels are great things to have (even just using a clear mascara works well too), they help to set the hairs in place, so they're great if your brows are a bit unruly. I like this particular gel because it doesn't look thick and crusty in the hair, instead it looks natural, and doesn't feel hard or crisp. BDB are on to a winner with this duo-pencil. 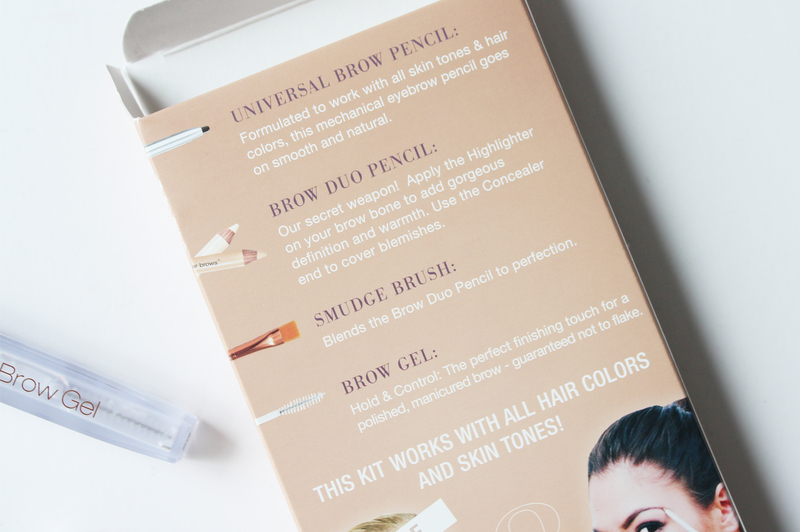 It works great to get a very sharp and defined brow shape with minimal effort. After filling in with the pencil, I just lightly draw around with the concealer end along the top line of the brows and then use the highlighter end on the lower part on my brow bone and either blend out with my fingers or use the Smudge Brush. The colour works great for my skintone (but isn't going to suit everyone), and it blends out easily. The highlighter is brightening without being glittery, which I like. If you were to buy each item individually it would be around NZD $126, so this kit is a great deal at $70 for basically good brows in a box! Beauty Bliss have cheap shipping of only $4.00 within NZ, or it's free for orders over $75, and they now ship over to Australia as well. 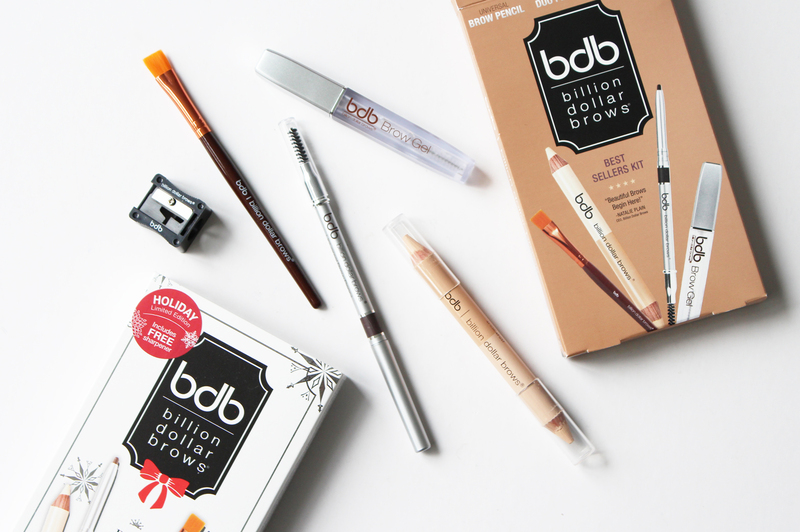 Have you used any Billion Dollar Brow products before?